The superlative exhaust and engine note will never cease to make you giggle; RWD dynamics are unbeatable in the hot-hatch segment; Infotainment and connectivity levels are class-leading, particularly with the addition of iDrive 6; Performance credentials rival cars with price tags double the one on the M140i; Did I mention it is RWD? A Note from the Editor: Will is a car enthusiast and a frequent contributor to the CarAdvice community. 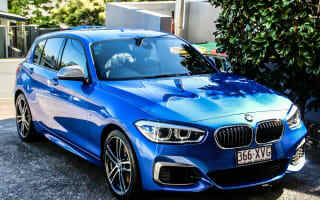 He has written this piece on his parents new BMW M140i that he hopes to buy from them someday. Check it out below! All fun times must come to an end. It is a common saying, isn’t it? Whether it be at the end of Christmas Day, a beach holiday or a catch-up with friends, we all reminisce about the various occasions that our mothers looked into our glum faces speaking those eight words. In my 15 years of existence in this world, I have come to learn that all good has an inevitable end, and we cannot do anything to prevent it. A similar scenario is unfolding over at BMW. Once a brand that loathed the notion of a FWD car, BMW has had to say goodbye to the fun of a RWD drivetrain and implement the once dreaded drive type to their lower Series models. 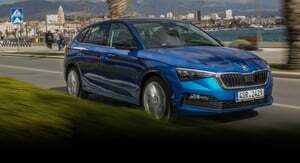 The RWD hatchback at BMW is now virtually over for BMW, due to slowing sales and the excessive production costs that are associated with such a drivetrain. Because we wanted to experience the allegedly unbeatable fun of the RWD F20 1 Series before it’s gone, Mum and Dad decided to sell our Mercedes-Benz A250 and upgrade to the BMW M140i in its final LCI-2 guise. Okay, I am lying, there was more to it than that. The Mercedes was becoming incredibly frustrating to own (I’m more than happy to explain why in the comments below), and after driving the M140i, it felt truly obsolete in comparison. 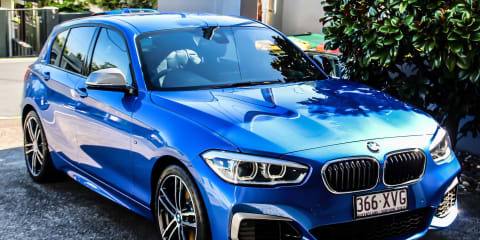 I would suggest you have a good lump of money lying around before driving the M140i, as I have no doubt you will want one after a short blast. We signed the dotted line for the baby Beemer in December 2017, and our Estoril Blue beast arrived in February of this year. We ordered it with Dakota Black Leather and Contrast Blue Stitching, which ties in beautifully with the paintwork and helps to break up the dark colours elsewhere in the interior. The M140i’s aggressive front fascia, long hood, low ride height and squat rear-end make for a very strong road presence. 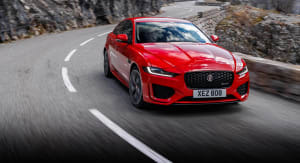 I think it is an attractive car that exudes sportiness and style, though I do believe it could have a bit more visual agro considering its performance. 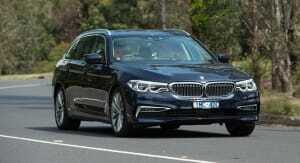 I suppose that is the beauty of the M Performance cars; they are blood-hungry wolves in innocent sheep clothing. The looks of this car are certainly polarising. It is very much a ‘love it or hate it’ affair. It certainly is no M2 to look at, but please – go ahead and name a better looking, RWD, in-line six hot-hatch. Hah… trick question, there isn’t one! BMW’s 3.0-litre in-line six B58 engine has been shoehorned into the 1 Series, giving the hatch a heap of grunt – 250kW and 500Nm to be exact. Those figures shouldn’t be snorted at, particularly when you realise this car weighs in at only 1475kg. With the ZF eight-speed auto that our car has, the M140i should cross the dark side of the speed limit in 4.6 seconds. And let me tell you, that figure is totally believable. When hitting the start button in the M140i, you are greeted with a sweet, snarly burble behind your head. Once on the move, there is a sinister growl from the exhaust, while the silky smooth ZF transmission makes the most of the low-end torque that this fantastic engine has. It is very impressive – you barely have to stretch its legs (accelerator pedal in this case) to get up and going. The elasticity of a DCT isn’t a trait in the M140i, unlike its rivals. 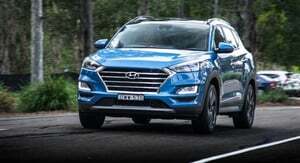 The driving experience is much more refined as a result. The gears are slushed together in Comfort mode, but when you flick the lever over into Sport mode they become snappier and sharper than any other DCT. If I am honest, it feels as quick as the CLA 45’s DCT that I reviewed in December last year, minus all the low-speed niggles. You can have your cake and eat it too with the ZF transmission. That brings me to the Jekyll-and-Hyde character that the M140i has. We can talk about the outrageousness of the engine, the RWD platform and how fun it is to drive, but when you switch everything back into their softest settings – which you’ll likely be driving in the majority of the time – the M140i transforms into a regular 1 Series. Don’t worry, though, the low-end torque shove and constant tones of the melodious six-cylinder remind you that you’re seated in something sincerely unique. On the odd – frequent in our case – occasion you drive in Sport mode, the M140i turns into a complete savage, making it well and truly worthy of the 16 M badges that are placed on it. The gearbox instantly downshifts, putting the B58 engine in the correct RPM band to make the most of the 250kW and 500Nm under the hood. The throttle response is perfect, as is the brake pedal, with a linear feel to both. The steering, unlike that in our X5, actually has a decent weight to it and offers a great tactile connection between the driver’s hands and the front wheels. Now, I know this is a bit of an anomaly in a BMW review, but to quote Enzo Ferrari, “I build engines and attach wheels to them”. Clearly, some German engineers over at BMW are fans of Enzo, as this exact same philosophy is apparent in the M140i with the creamy in-line six. The engine is an absolute cracker, with excellent torque and power delivery as already mentioned, and an unbeatable sound. The way the B58 howls, growls, burps and pops is truly intoxicating, and would have to be one of my favourite bits of the M140i. I just can’t get enough of this engine, and it will be one of the features missed most from the new model. The blissful engine is complemented by a playful chassis. Being an M Performance vehicle, the M engineers have worked some of their magic to further enhance the already excellent 1 Series chassis. Turn the M140i into a corner and the front Michelin Pilot Super Sport hoops bite into the road – free of the need to deliver power, unlike all the BMW’s rivals. The rear end feels lively – yet controllable – and the sensation of being pushed out of a corner is a real treat. The driving experience is something words themselves cannot describe; it is honestly exceptional and no other hatchback can deliver it. I urge you to go and drive one so you’ll understand what I am trying to convey. RWD is what makes the experience of the 1 Series so charming, and it bewilders me why BMW would discontinue it – even if it financially doesn’t make any sense. A part of the LCI-2 update for 2018 is a new dash design with iDrive 6 and a Digital(ish) Instrument Cluster. It looks more premium than the interior it replaces, and while not as flashy as our old A250’s interior, is considerably better finished and a nicer place to sit. The Digital Instrument Cluster perfectly blends the avant-gardism of LCD dials and the traditional analogue dials that BMW does so well. The iDrive 6 system is by far the best iteration of iDrive yet. The graphics are superb and connectivity levels are mind-boggling. The fact Mum can pre-condition the car from her iPhone is a life-saver on hot Queensland days, and the ability to send navigation addresses to the car from the BMW app makes for calm and swift departures. Overall, the interface of the system is relatively easy to use via the responsive touch screen or conventional rotary dial and boasts cool animations when changing drive modes (even if it is a 118i that is displayed). Furthermore, the customisable home screen tiles mean you can position your most used features where you want, meaning you don’t have to dig around for your desired menu while on the move. If there was one complaint with the technology suite in the M140i, it would have to do with the lack of a head-up display (HUD). BMW does an excellent HUD (we love it in our X5) and it is a real shame it couldn’t be brought into the 1 Series range. The lack of Adaptive Cruise Control – even as an option – is also frustrating, given that the S3 and Golf R offer it as standard fit. From my understanding, the hardware would disrupt cooling for the bigger 3.0-litre engine, meaning the M140i misses out on ACC while the rest of the 1 Series range is able to have it fitted, given their engines don’t require the added cooling requirements of a performance engine. Practicality is a tenuous point of the 1 Series too, but it still deserves credit where it is due. The boot offers a good opening and usable space, even if there isn’t acres of it. My mum’s bike, for instance, will fit in the back of the 1 Series (with its seats folded down of course) without the need to remove a wheel. In her A250, she would have had to remove a wheel in order to fit it in. Similar to the boot space; rear seat room in the 1 Series is decent, but not up to the standard set by the Audi A3. Head room is surprisingly good, and the larger windows make it feel more spacious in the back than the dungeon-esque A-Class. Knee room is tight, but still on par with the baby Benz in that regard. Where the 1 Series falls short of both its rivals is in the ability to carry three in the back at once. The large driveshaft tunnel for the RWD platform makes the middle seat pretty much unusable. However, three in the back is doable provided you aren’t planning to go on hour-long trips due to the respectable shoulder room. Prior to settling on the M140i as our next car, we decided to test-drive its most logical competitor – the Audi S3 – to see if it could earn a place in our garage. Driving the M140i back to back just highlights the brilliant theatrics of having a six-cylinder under the hood, and the innate fun factor of a small RWD car. The S3 was a mightily capable machine with its lovely seats (which annoyingly weren’t electronically adjustable), immense grip from its Quattro AWD system, a barky exhaust and excellent technology levels. However, it felt very clinical to drive and wasn’t a driver’s car like the M140i. You might think that the S3 was a more comfortable car to travel in, but that wasn’t the case – even with magnetic ride. Overall, the BMW M140i is a near-perfect performance bargain. 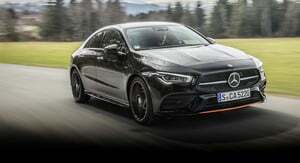 While some rivals such as the Audi S3 offer more space and the Mercedes-AMG A45 greater performance credentials, neither possesses the unique experience of a RWD in-line six powertrain. It is the enthusiast’s choice in the hot-hatch game – there’s no doubt about it. To quote Jeremy Clarkson, “Hate this car? Then you hate driving”. And as controversial as he is, he is veracious in what he is saying about the 1er. The good thing is, while the RWD fun may soon be over for the 1 Series, it doesn’t stop us from enjoying the M140i for many years to come. Mark my words, this is a future classic, and a classic that I hope to buy from Mum and Dad when they are done with it in many, many years’ time.